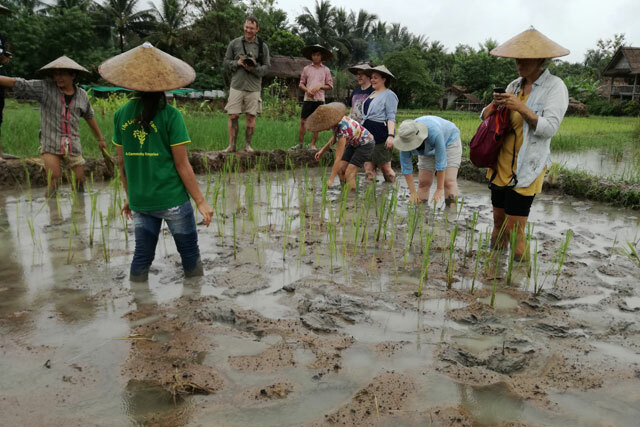 Would you like to see the process of planting and harvesting rice in the rice paddy? 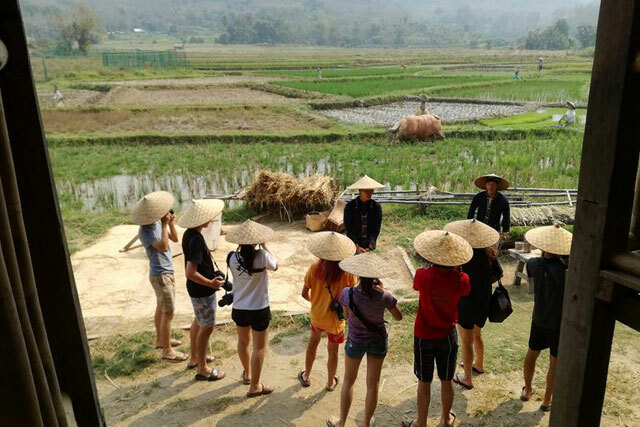 Come and spend half a day on our LIVING LAND FARM, situated in an idyllic countryside setting surrounded by mountains in the middle of ancient rice terraces. Come and let us show you how rice is grown on our farm, experience the life of a rice farmer and try your hand at some of the activities. Or just view it all from the comfort of our traditional Lao rice house terrace. Meet some real Lao people and Rodolphe, our buffalo. Would you like to see how rice is planted in the rice paddy? 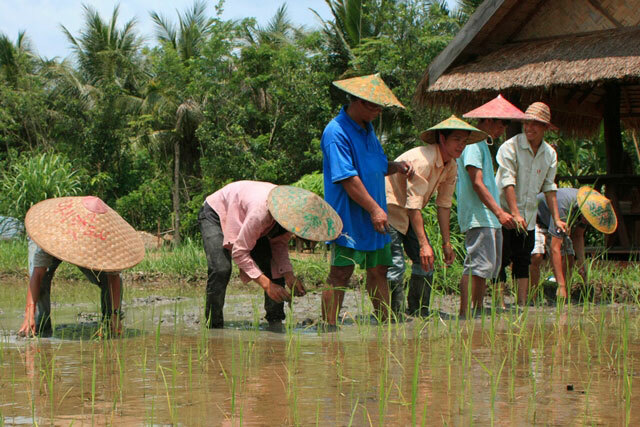 You could join our team of rice planters and have a go! It is fun, it is educational, hands-on and eco-friendly! 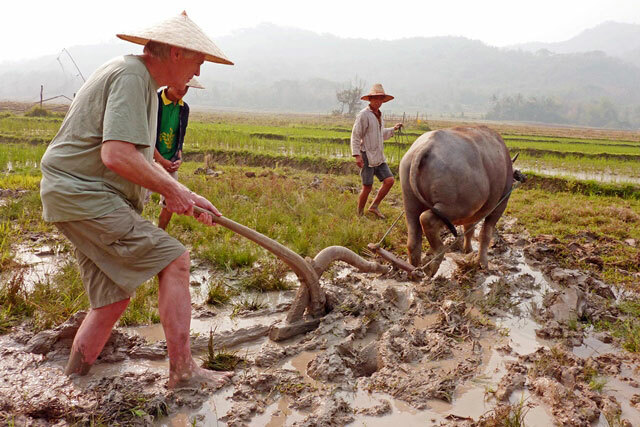 Come and see how buffaloes are used to plough the rice paddies and try it for yourself! Ploughing the rice paddy with our buffalo. Our presenters demonstrate each step. A chance to integrate in the life of the locals, fascinating insights into rice growing and farmers in Laos.